Last night I watched one of my favorite movies – The Blindside. I absolutely love this movie as I’m sure many of you do. And while I love the performance of Sandra Bullock’s character, does anyone else sometimes get distracted due to her chic and fashionable wardrobe?! All of her outfits throughout this movie are so chic and seem so appropriate for the modern workin’ girl. One thing that is for sure, her white watch that she sports throughout a majority of the movie definitely started a fashion craze (Yes, I was one of those people who bought the white watch as a fashion accessory-but now I can’t live without it!). Okay I used what clothes and accessories I had to resemble her outfit in this SCENE (Navy blue top, white skirt) . I chose my navy blue, sequin Loft shirt, my off-white twill trousers (had these forever) and paired them with my J-crew jewel flip flops. Of course I could not complete the look without my white watch 🙂 I loved putting this look together because it reminded me of the tv show – The Look for Less with Elisabeth Hassleback. Anyone remember that show? I used to love to watch it…probably because it helped REAL people shop for fashionable outfits on a budget. I definitely LOVE this look because it feels so fresh and modern. This was a great choice to add to my “work attire” collection! For those of you wondering, yes – Stephen has become my loyal photographer when it comes to fashion pics. He kindly pointed out my “head tilt” I have goin’ on in just about every picture. Ha guess it’s force of habit whenever I’m in a picture solo. As for now, I’m going to try not to devour this salad all at once! 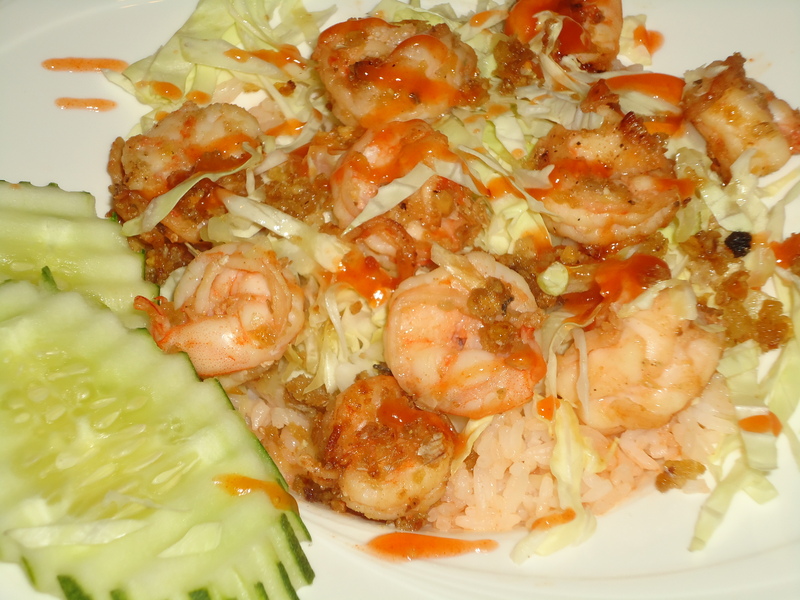 We got some take-out food tonight from a small thai restaurant just down the street. As much as we love to cook, it’s nice to have a night off…and well worth the taste! As always, have a wonderful day & stay Dressed to Dish! This entry was posted on Tuesday, February 1st, 2011 at 8:35 pm and is filed under Accessories, Beauty, Fashion, Recipes and Uncategorized. 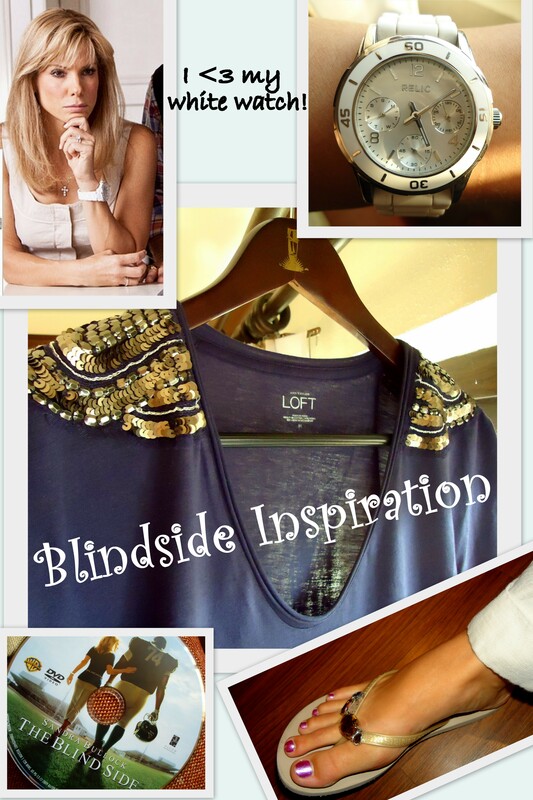 Tagged: blindside, celebrity, entertainment, Fashion, j-crew, loft, look for less, Salad, shop, shrimp, Wardrobe, work. You can feed this entry. You can leave a response, or trackback from your own site. I LOVE your blog little!! I think you should go into fashion as a career.